MOTIVATED SELLERS! MOTIVATED SELLERS! 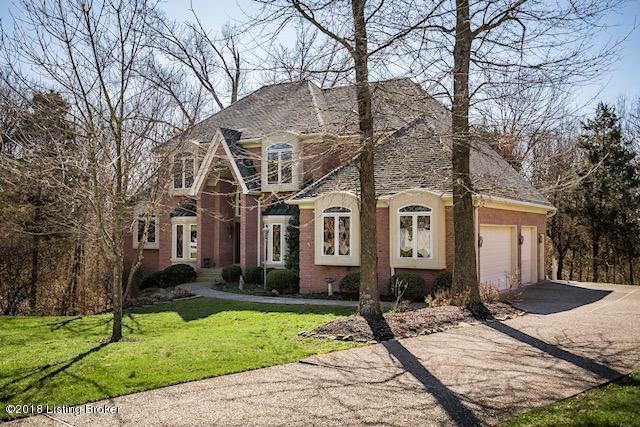 Welcome to the OVERLOOK AT FLOYDS FORK! 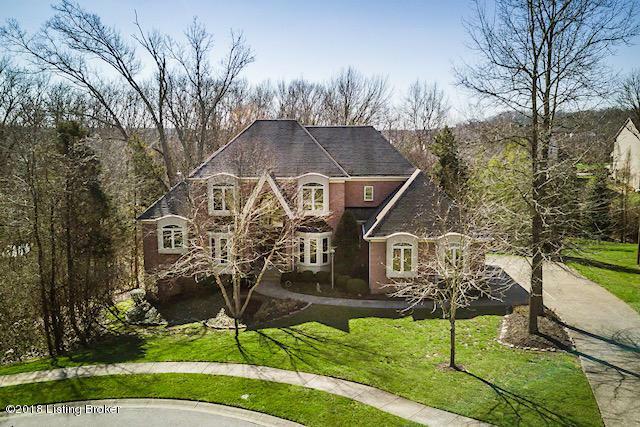 A very distinctive French European custom designed home sits above the breathtaking views, from the rear of the lot, as it overlooks Floyds Fork and a Woodland Protection Area. Special features include the custom peaked window as you enter the Foyer, very cozy Living Room with bookcases flanking the gas fireplace, bayed windows in the Living and Dining Rooms enhanced by hardwood floors and beautiful stained trim work. 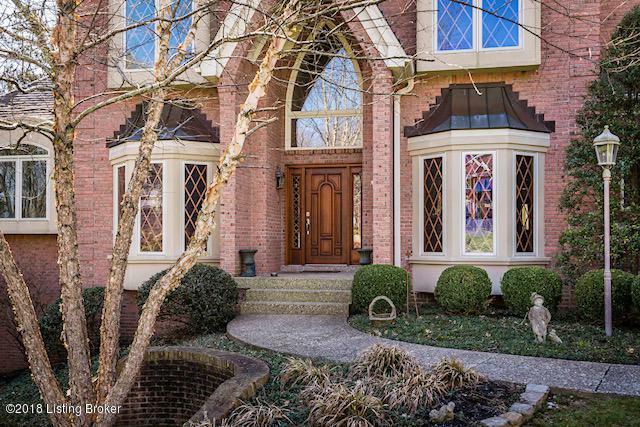 Light abounds through-out the home because of the lovely windows and high ceilings. Fabulous Kitchen with large island, granite counters and tile floors. Breakfast area opens to a screened porch and large deck overlooking very private wooded backyard.Great Rooms' focal point is the beautiful wood burning Stone Fireplace. Hardwood floors flow into the Master Bedroom and Sitting Room that has access to the deck. The Master Bedroom has a bayed seating area and trayed ceiling and walk-in closet. The Master Bath has a custom designer window over the jetted bathtub. Separate tiled shower and dual vanity. There is also a Half Bath (mirror does not stay) and First floor Laundry on this main level along with a 3 CAR GARAGE. Upstairs you will find 2 large Bedrooms with a bath connected to one and it opens to the Hall for use by other bedroom. A nicely sized LOFT could be a third bedroom upstairs, if needed. A large walk-in closet is featured at end of hall. (A bath could be added.) The LOWER LEVEL is a walk-out to a very large patio, wired for a hot tub. Also featured is a large LIVING AREA with gas fireplace. Area for a pool table. Full kitchen with appliances remaining. Large Bedroom with closet. Full Bathroom with tub. Super In-Law Suite or Teen space. Huge storage area with SECOND LAUNDRY. Two brand new FURNACES ( Feb. 2018) and a third Furnace and AC on second level recently replaced in 2017. HOA is $450/yr which includes trash and snow removal, street lights and common area maintenance. Security system, built-in speakers, intercom and central vacuum are nice extras in this wonderful home. Located at end of cul-de-sac. H S A 1 year warranty. $100 deductible.